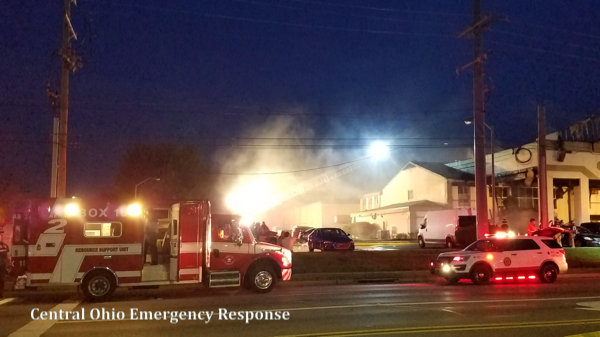 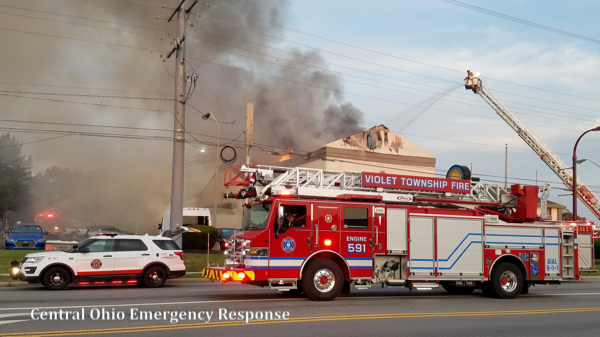 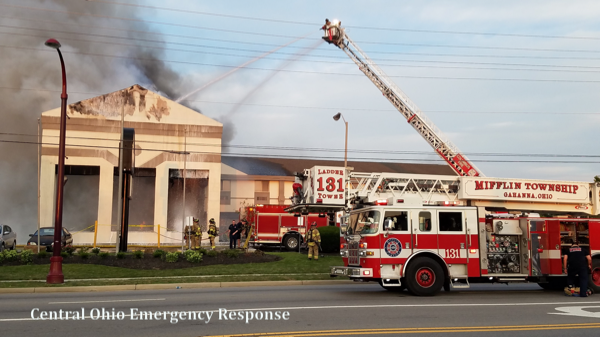 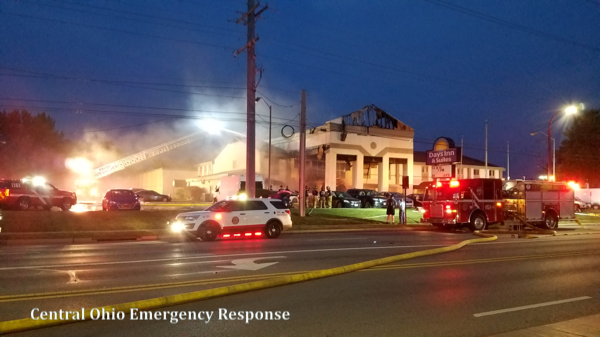 Truro Township (OH) firefighters, with mutual aid from numerous other companies, battled a 3-Alarm blaze in a Reynoldsburg hotel 8/9/18. 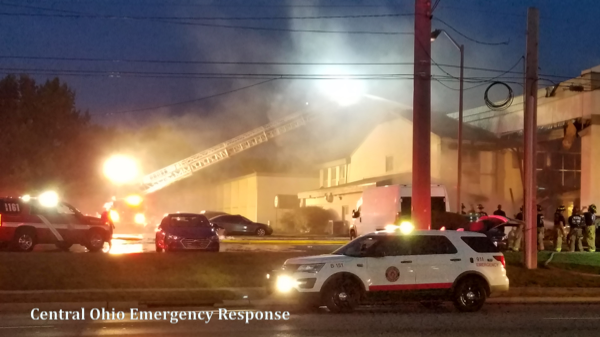 First due Truro Township companies (Department 160) reported heavy fire out the front of the building, and Battalion 161 immediately requested the second alarm. 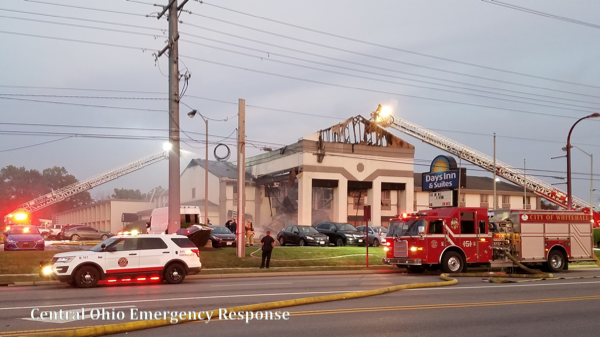 The fire, thought to have originated in the attic, ultimately gutted the entrance and lobby of the two-story structure, though firefighters were able to prevent it from spreading to most of the guest rooms. 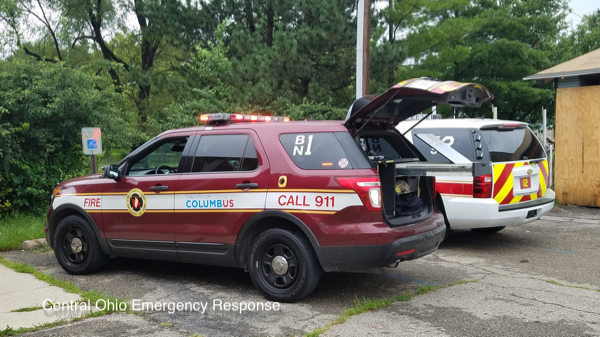 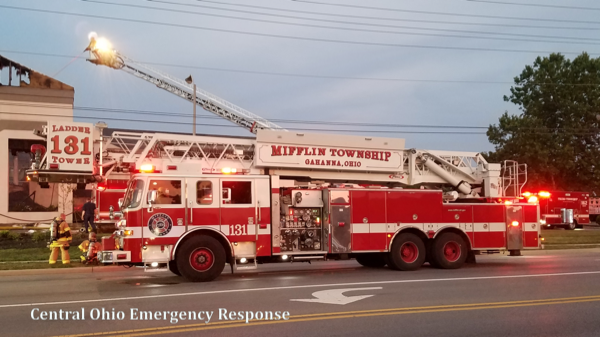 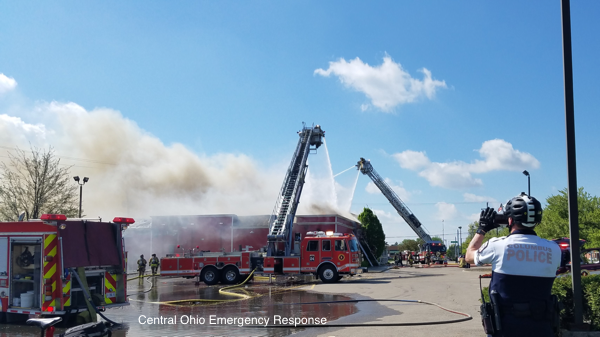 Mutual aid companies from Columbus, Mifflin Township (130), Jefferson Township (140), Whitehall (150), Hamilton Township (180), West Licking Joint Fire District (401), and Violet Township (590), along with Box 15, Reynoldsburg police, and Columbus police all assisted. 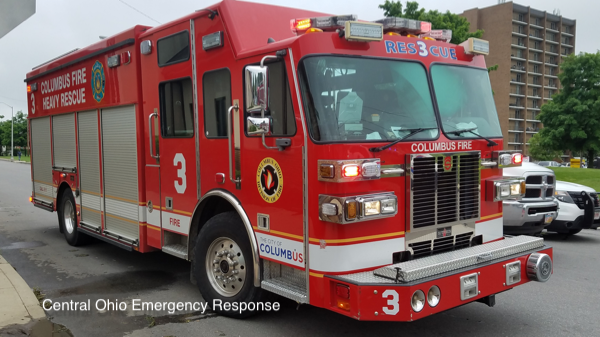 One firefighter was treated and released on scene, and one person was transported for unrelated medical issues. 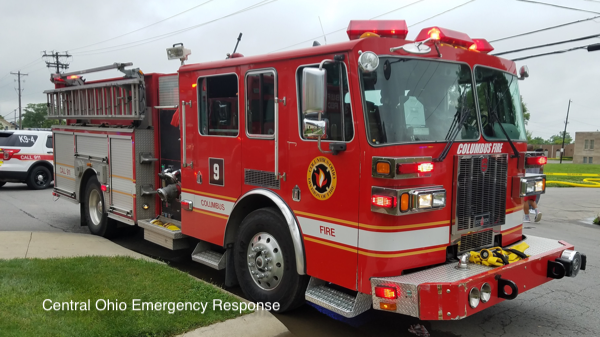 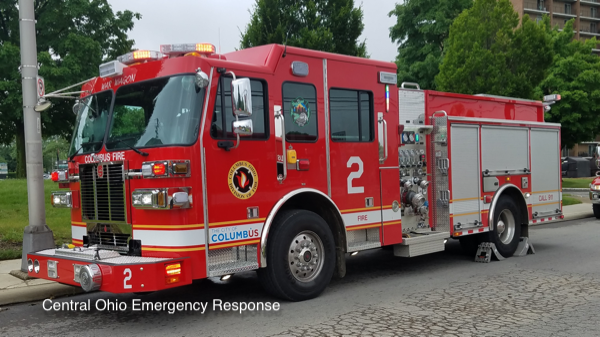 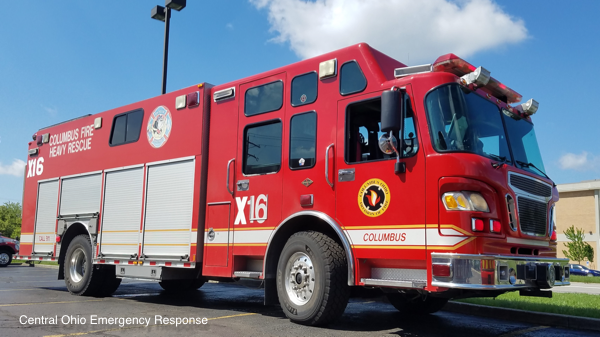 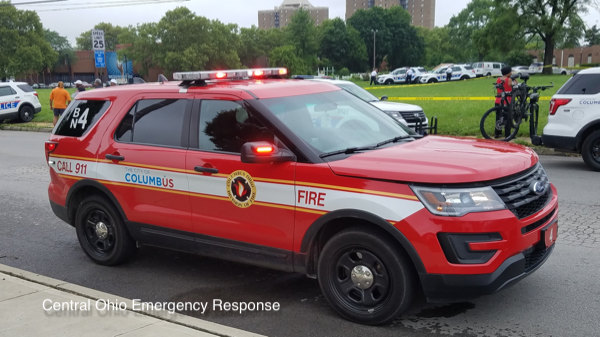 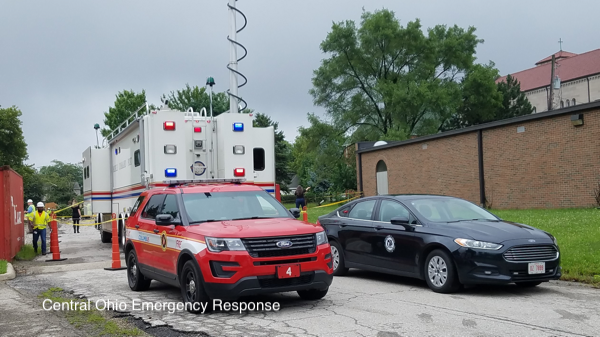 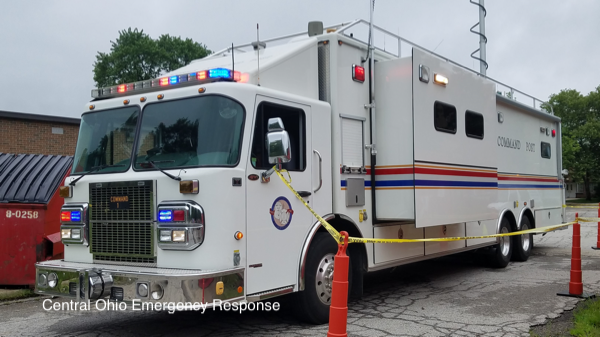 Columbus, Ohio Division of Fire was called to the scene of a natural gas explosion early Friday morning (6/22/18) in the neighborhood just east of downtown. 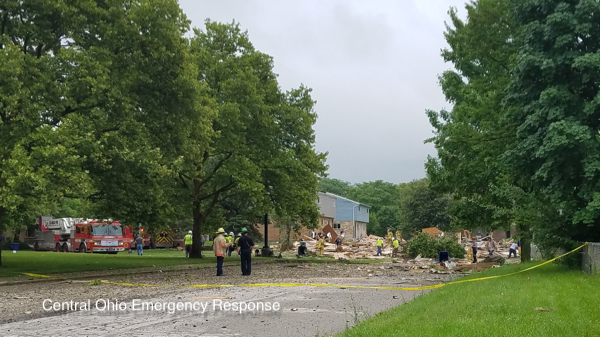 The blast demolished one house and damaged several others, sending two people to the hospital in critical condition. 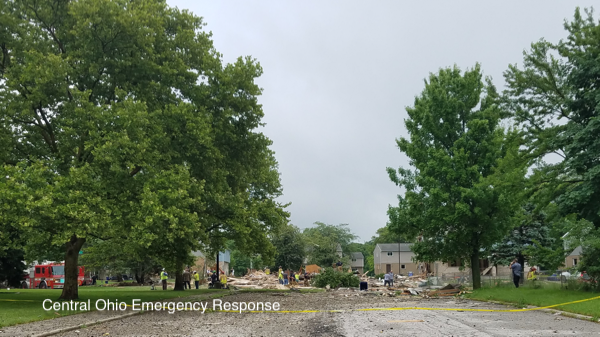 The destroyed house was supposed to be vacant, and investigators remained on scene attempting to determine the cause of the blast. 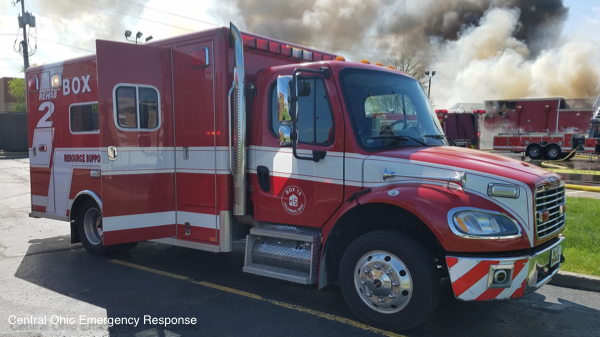 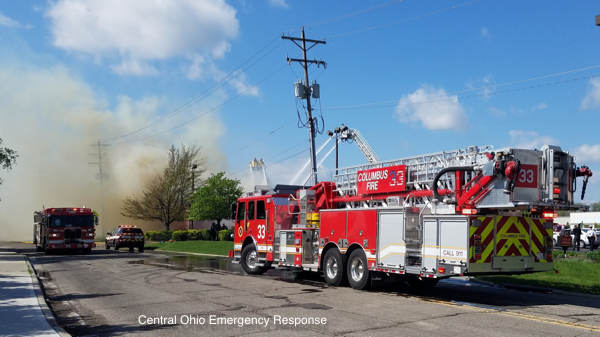 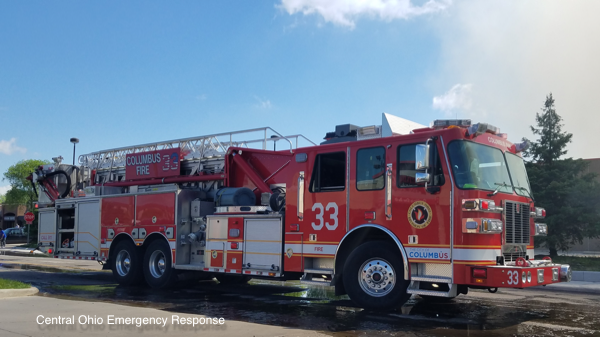 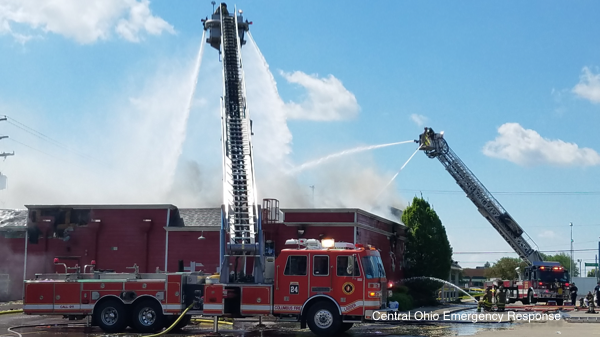 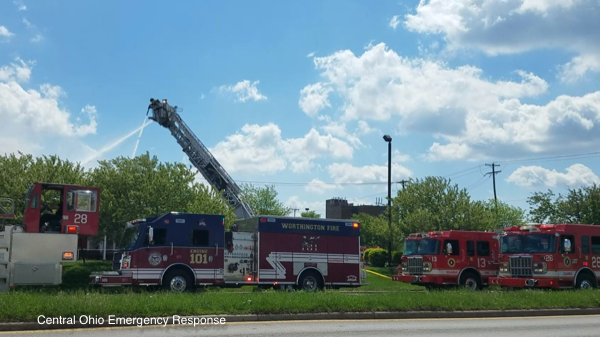 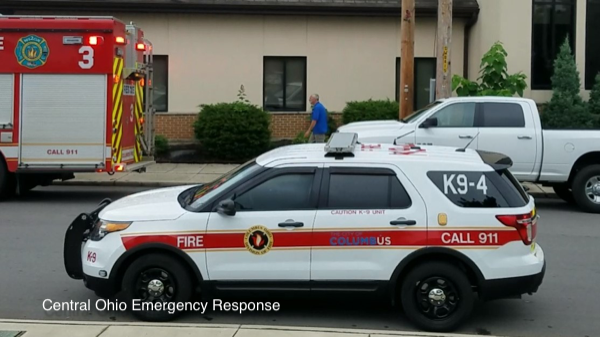 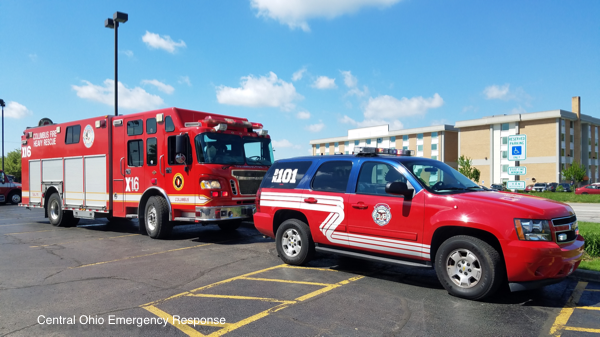 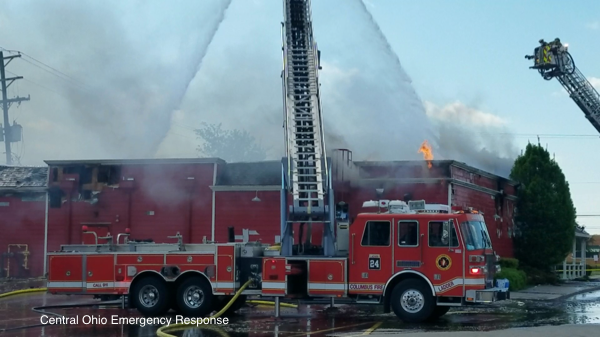 Firefighters from the cities of Columbus and Worthington (OH) twice responded to a north side Bob Evans restaurant for a fire. 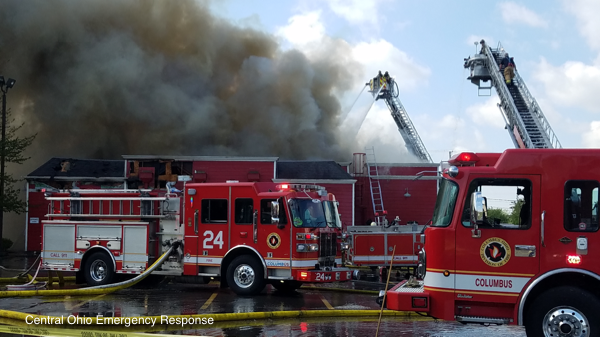 Crews had extinguished a fire that damaged the rear of the structure around 3 am, and were initially called back to check the location just before 10am. 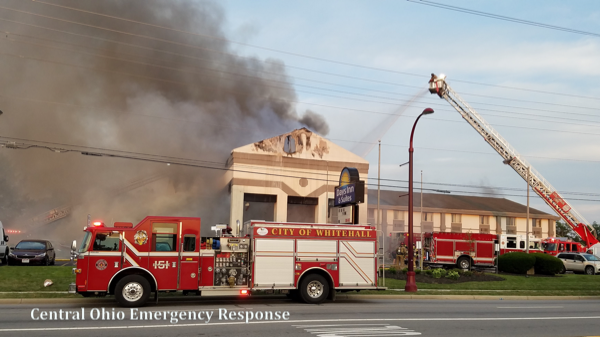 The first due units however, reported heavy smoke while en route and requested the full working assignment. 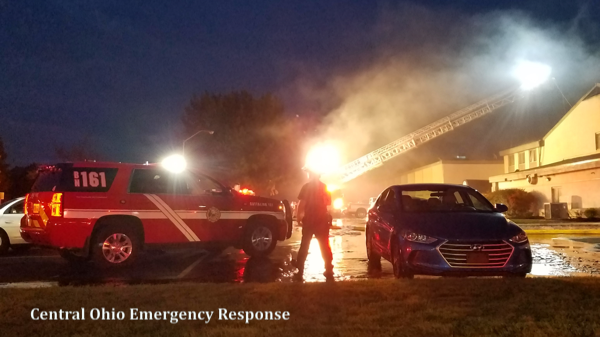 The second fire completely destroyed the interior of the building, and took three aerials and several handlines over two hours to contain.